Do the indicated speeds correspond? 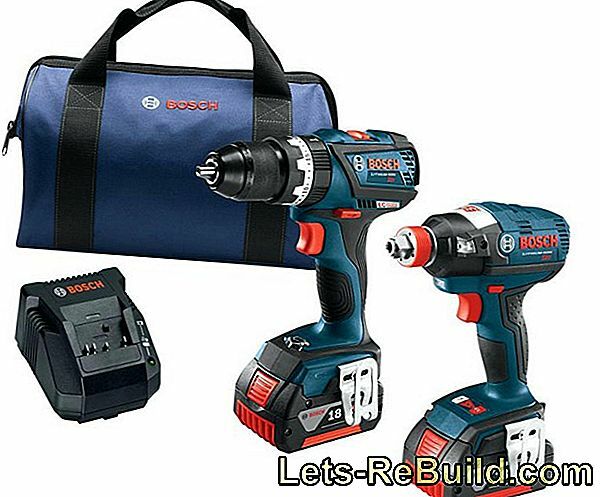 A drill belongs today in every household or in every workshop and even cordless drill drivers are powerful enough to take over the work of a drill. 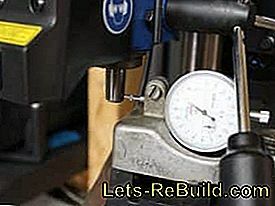 Will, however exact holes needed in a workpiece, which may also exceed the capacity of a hand drill, is the Purchase of a bench drill or stand drill on the plan. 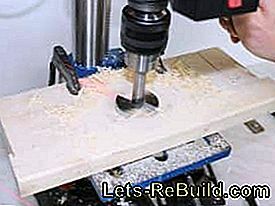 As a stand or pillar drilling machines are often referred to large drills, which are on the ground. Bench Drills are smaller and standing on the table versions. 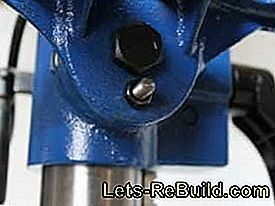 The special design of a column drill has a round pillar as a stand and allows one to adjust additional table in height and to turn laterally. 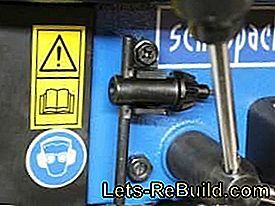 Today I have one with the Scheppach DP16SL affordable bench drill in the test, which gives a solid impression and advertises with a laser for easier alignment after scribing. 23 kg are not a flyweight and therefore I am glad that the Bench drill in a handy box is housed around 30 x 40 x 60 cm. Grips would be practical, but should not be overstated. 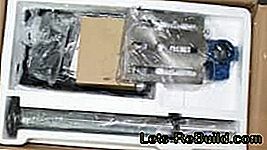 Externally, the packaging is to take everything important, and I personally would not buy a bench drill according to the packaging information. 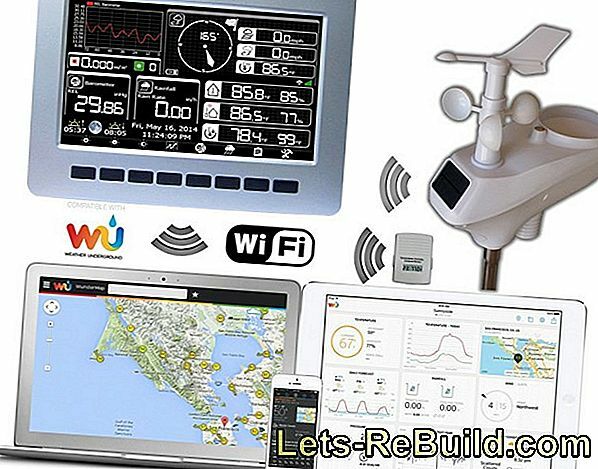 Here I want that Check device in the hardware store or at the dealer, touch and read reviews. Therefore I pay no attention to the external appearance. Of course, what is more important is what awaits me when opening the packaging - and that looks like a lot of building work. What also awaits me is a well-known "fragrance". As a skilled cutting mechanic I know the smell of metal and lubricant only too well and when unpacking memories are awake. It smells like one real and therefore heavy metal constructionthat matches the weight of the box. All parts are for Protection against rust well greasedbut also well packaged, so as not to unnecessarily contaminate housing parts. The structure is shaping up even without assembly instructions very easy, If you bring a little technical skill, you should not be overwhelmed. To put the motor unit but something tasty in the arms is required. 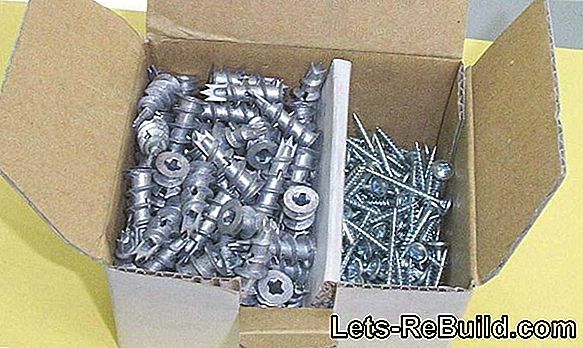 All tools needed for assembly (two Allen key) are included in the delivery. After 20 minutes at the latest, the bench drill is ready for testing. 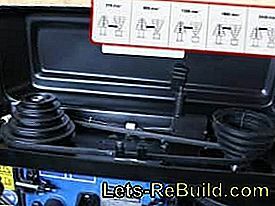 Before you start, however, take a look at the operating instructions and try out the functions and adjustments. As described in the construction, all metal parts are well greased and leafing through the construction incidentally in the manual, this would look like it was already ten years in the workshop. Therefore, I like instructions that pay attention to the quality of the paper used. Scheppach can come here coated glossy paper points. 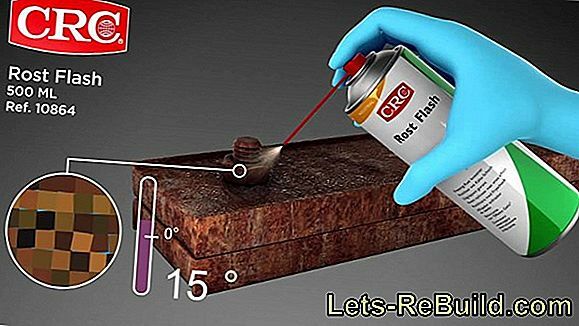 The smooth surface can also be used greasy fingers and can be wiped with a cloth, Especially with tools in the workshop a big advantage. The distribution of the manual is somewhat unusual, but not necessarily impractical. In total, it contains six languages, three of which are displayed next to each other in columns on one page. 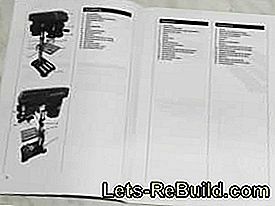 The first three languages ​​receive the first half of the instruction manual and the other three languages ​​the back half. I think this is quite clear and it facilitates the search for the right language. 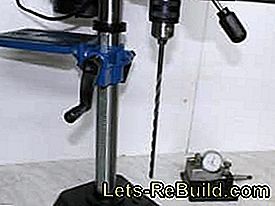 The Instructions for setting up and handling the drill are well explained, as well as richly illustrated. The Unfortunately, the quality of the pictures can not convince, Black / white and very dark are sometimes hardly recognizable details. However, most of the functions are self-explanatory and if you take the manual at hand, while looking at the machine, all the information is traceable even without images. Overall, the instructions are understandable and well explanatory. The inferior Quality of the pictures remains the only minus point. 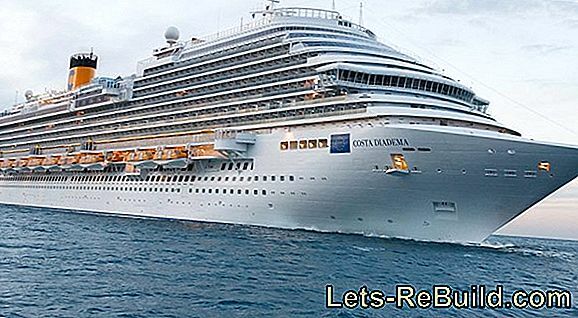 After the construction, the initially mentioned smell of metal, oil and real craftsmanship is confirmed. Before me is not a playful technical miracle, but a robust metal tool. Only the attached box made of plastic, which includes the on / off switch, as well as the switch of the laser light, somehow does not fit into the picture - which is not necessarily meant negatively. Interesting and new to me is one Transparent cover in front of the drill chuckwhich is designed to protect against flying chips. Such a chip protection is mandatory but if it is also practical, the test will show. In any case, an emergency stop button, which is located on the left side, is practical and useful quickly triggered with the flat hand can be. He certainly will not miss. On the right above the hand cross for the Bohrhub is a Holder for the chuck key, Just a gimmick, but quite a sensible one. 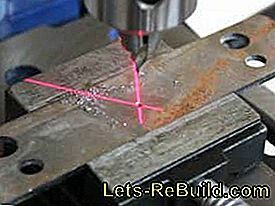 No gimmick is for me laser cross, Although many believe that they will graze metal anyway and center the drill bit, those who often drill wood and use it for drilling in metal center bits will get very busy quickly appreciate the benefits of such laser alignment learn. The laser cross of the Scheppach bench drill looks very clear and blurs even at greater distance Not. To open the belt cover a Phillips screwdriver is needed that can not be enclosed or fastened anywhere. For my taste, it would have a more pleasant solution, such as a knob can give. But regulation is regulation and The cover may only open with a tool to let. What also stands out is the inaccurate seat of the lid. The lock sits on the lock Cover slightly higher and does not close properlyG. A detail with which one can live with a metal construction but would not have to. Underneath the lid are two meaningful details in addition to the pulleys. On the one hand there is one here safety switch, which prevents switching on with the lid open and on the other hand a List of adjustable speeds. 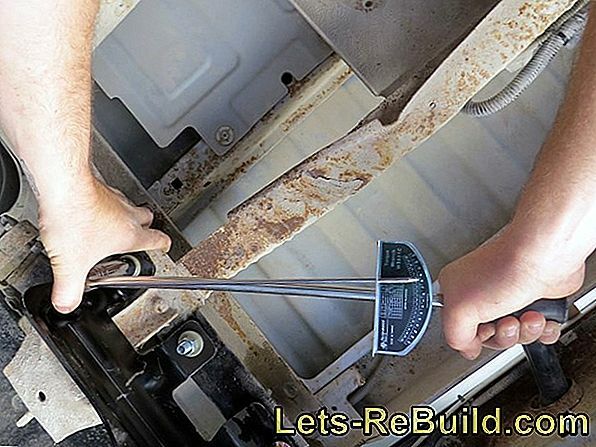 To adjust the belt, a wing nut is loosened on the right side of the housing and the motor unit can be rotated slightly towards the drill column, which relaxes the belt. 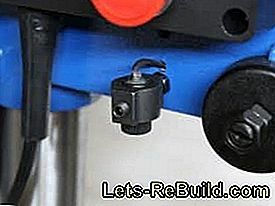 After moving the belt, it can be easily re-tensioned in the reverse order. The Speed ​​adjustment is done so - a belt transmission accordingly - relatively quickly. More details that I notice at the first observation of the test drill are one Drill depth scale and, surprisingly, a tilt adjustment of the drill table. The drilling depth Scala But it raises a question for me: how can it be used effectively if it can not be "zeroed"? 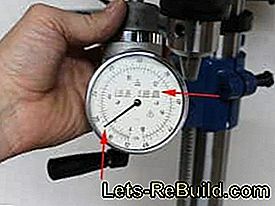 In the uppermost position of the drill spindle, it points very precisely to zero and is also easy to read. However, she is stuck firmly on the case and can nDo not adjust with the attachment of the drill on the workpiece. To set the drilling depth stop, the drill must therefore on the Material set and the depth read on the scale become. Then add the desired drilling depth and set the stop to this dimension. The setting is quite simple with two knurled nuts, but this requires the Bohrhub be set to the appropriate depth, including the The workpiece is removed under the drill or the drilling table is turned aside must become. That is unfortunately way too complicated and not really effective available. 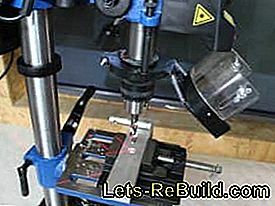 Just as questionable is the tilt adjustment of the drill table. 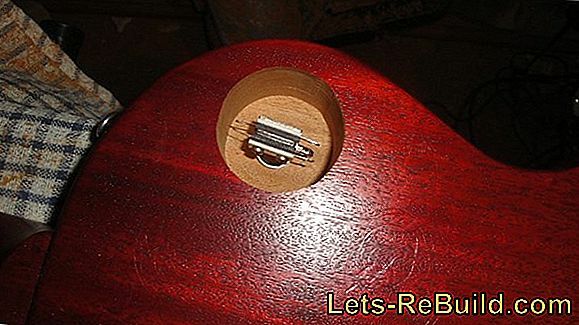 According to the instructions, an adjustment screw is to be removed, which positions the table in the zero position and then loosen the clamping screw. 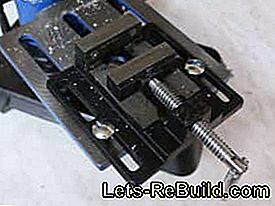 But instead of an adjusting screw here a bolt with nut is used. 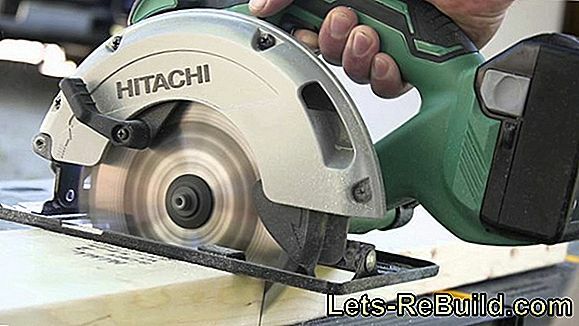 Since the bolt can not simply be unscrewed and the drill table has only one hole and no half-round groove at this point, the table can not be adjusted, A contradiction to the manual. 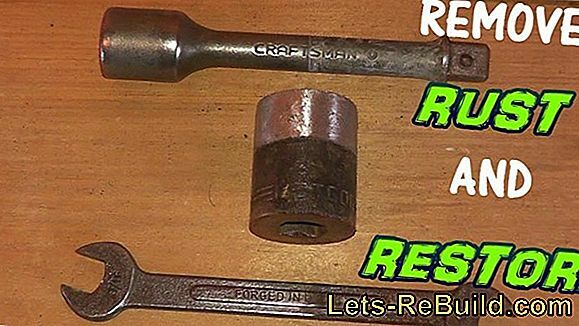 I could already imagine that the bolt through the Counter rotation of the nut - similar to a puller - pulled from the materialn must be and here only a difference to the manual is present. But that's a good way to test Scheppach's support. So in the middle of the night, I wrote my cover letter to customer service and I got a call by noon the next day. At the friendliness the lady of the customer service may still work a bit (sounded like I was guilty and not the manual), but she competently described how the bolt is solved. At the Reaction time and the help there is nothing to complain about. The first switch-on surprises me, above all, one thing - the low volume, This is of course due to the belt drive and a great advantage of such power transmission. However, one too slight vibration felt on the lid, which is due to an imbalance of the pulley on the drill spindle. 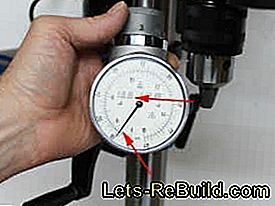 Then I checked the concentricity of the drill chuck with a dial gauge on the feed intake and with an extremely long drill and was very satisfied. 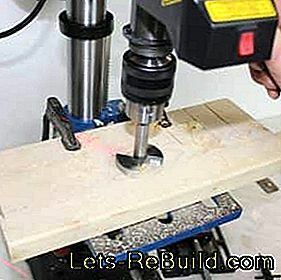 By hand, the Push the drill chuck sideways only by 0.045 mm. This corresponds to a runout accuracy of less than a tenth. With driven spindle remain of only 0.03 mm left. 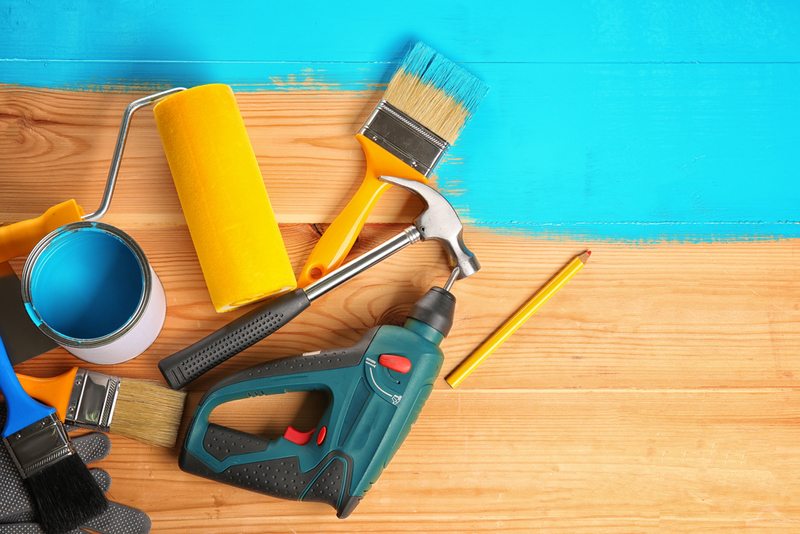 For the DIY sector a more than acceptable result. Also, the chuck influences the transfer to the long drill bit imperceptibly and he runs very quietly. Of course, it should be noted that such drills will certainly not find application in the bench drill as a Drilling stroke of 50 mm a longer drill unnecessary. Since we are currently at the trade fair, I also check the indicated speeds, which can be fully understood. Two settings were tested, which are given as 510 min-1 and 1800 min-1. Both values ​​could be reproduced very accurately and deviate by only 10 min-1. This is absolutely in the tolerance and may also include measurement errors. The laser cross is already characterized by a very good lines and can also score in accuracy. It exactly shows the later drilling position on. This makes it possible to work very precisely after a tear. 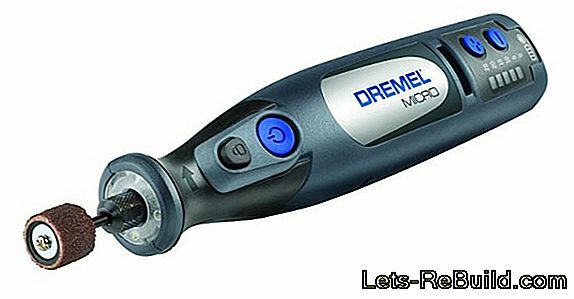 If necessary, but also the Cover caps removed and the laser readjusted become. Equally advantageous is the large distance between laser and Bohrspinden. 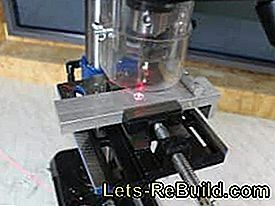 As a result, the laser is still visible even with drills with a larger diameter (Forstner drill). 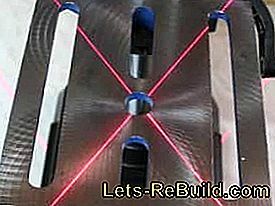 The closer the lasers are to the drilling axis, the sooner the drill will cast "shadows" and the laser cross will no longer be visible. The power rating of a power tool only indicates how much electrical power the motor maximally receives, not how it converts it. Therefore, the Scheppach bench drill should show in a small test what it does. 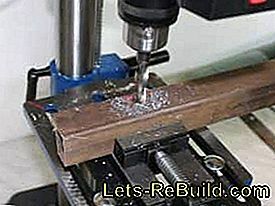 Drilling was done with a 50 mm Forstner drill in wood and with a 12 mm drill in aluminum and steel. For all holes the DP16SL did not show any weaknesses. 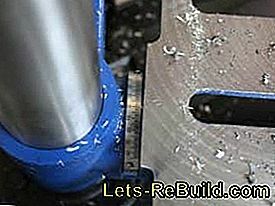 Without noticeable speed reduction, she drilled her holes clean. In However, steel requires a little more physical strengthto transmit a sufficient feed force, since the leverage is limited. 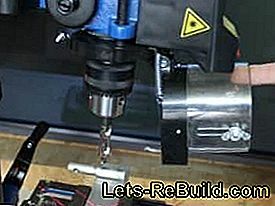 Although the engine would certainly be able to cope with a greater load, the power consumption of the drill table is the limit here. Under great pressure you can see him giving in and bending down. If really a larger contact pressure is required, the workpiece should be on the foot and should be placed a bit lower in order to reach the required working height. 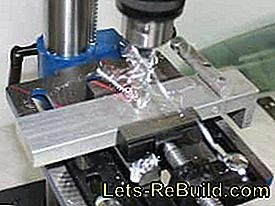 As can be seen in the last pictures, the chip protection was removed to test the drilling machine. This served only for better handling and photographing in the test. Such chip protection is required by the standard and must not be removed. According to the regulation, he may not stay open by himself, which considerably limits me as an operator. As a cutting mechanic, of course, I know that there are many rules whose implementation is not clear to everyone and whose usefulness is sometimes questionable. Maybe it would be helpful, the Chip protection in the long term more attention to give and give him a limit switch to miss. If the machine can not be switched on with the chip guard open, it may also remain open automatically. Since many table drilling machines are still sold without chip protection, I assume that this requirement is not that old. So we can be curious what the manufacturers come up with to make the chip protection more comfortable. Except for minor flaws, which mainly affect the operation, the Scheppach table drill has been able to penetrate quite well in the test so far. The associated machine vice (optional accessory) but not convinced. 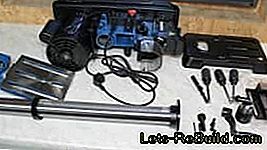 Annoying is already at the first use, that the necessary screws to the Vise to be fixed on the table, not included belong. So you are dependent on your own solutions. Also, the machine vice can not inspire quality. Roughly made and with a lot of play in the guide exact clamping is hardly possible. 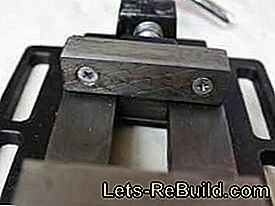 Grooves or heels for clamping round material or sheets are not incorporated. On the vise so like to be waived and you should put on a universal model. 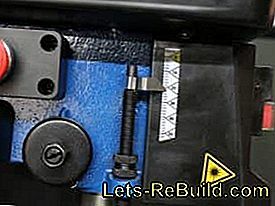 However, since the machine vise belongs only to the accessory and does not represent an attachment of the drill, it should not affect the rating of the drill. 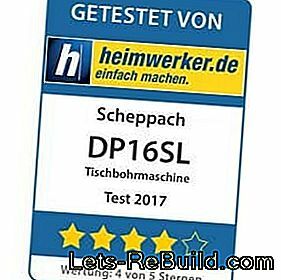 With a suggested retail price of 189 € and an online price starting from 150 €, the Scheppach DP16SL ranks in the middle price segment on. One should therefore expect no marvel of technology, but should meet solid technology. 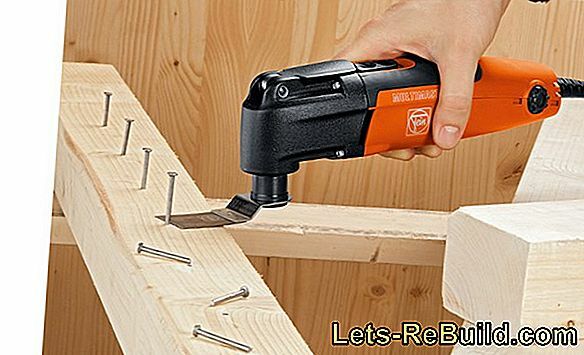 If you are looking for a table drill machine after this presentation, you will be satisfied with the Scheppach. 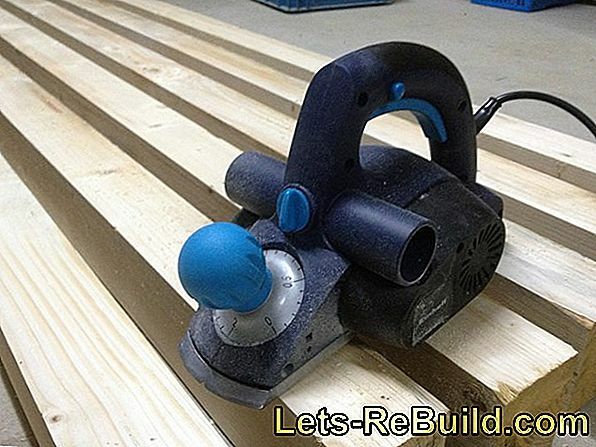 Robust, with enough power and with a pleasant volume, it safely handles all work in the workshop. The Changing the speed requires the typical effort for stand drills with belt ratio and the speed range of 510 min-1 to 2430 min-1 really covers every need. 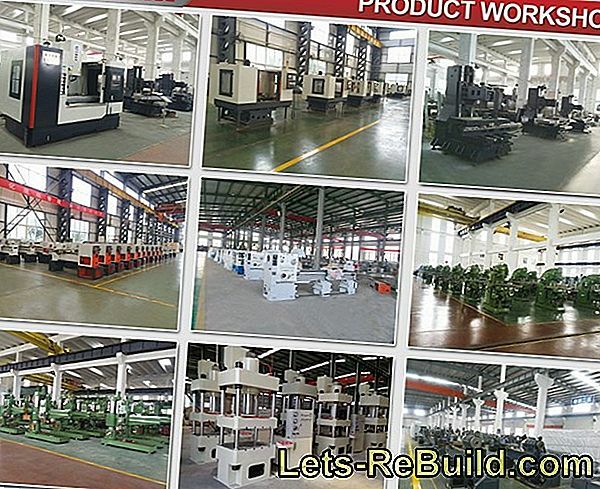 The construction of the machine is done quickly and also the incorrect description for tilt adjustment of the table is to cope. Somewhat uncomfortable, however, the depth stop is implemented. This can not be zeroed and also the Depth limitation can only be set to a predetermined level adjust when the drill or workpiece is removed. The device is worthwhile only, with several holes. Impressive shows the practical laser cross, where there is absolutely nothing to complain about. Exactly and with clean lines, every hole really lands where it's displayed. 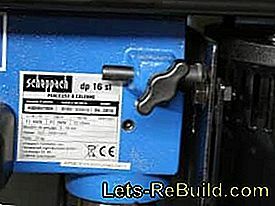 Practical details, such as a holder for the Chuck key and the speed table in the cover facilitate the work. It is not recommended to use the optional machine vice. 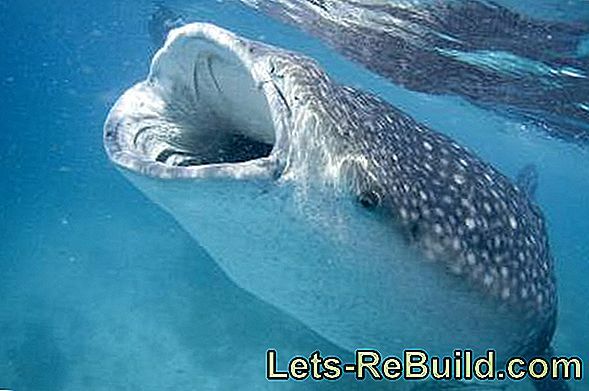 He can neither in terms of Quality through a useful shape of the jaws to convince. Here should be preferred to other models.